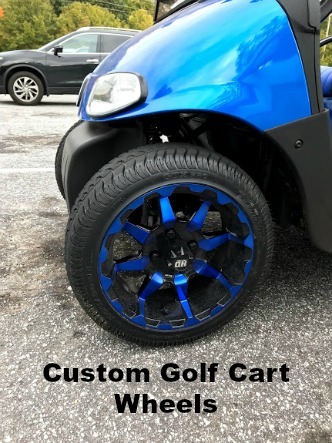 Custom golf cart wheels can turn an ordinary golf cart into a one of a kind golf cart. 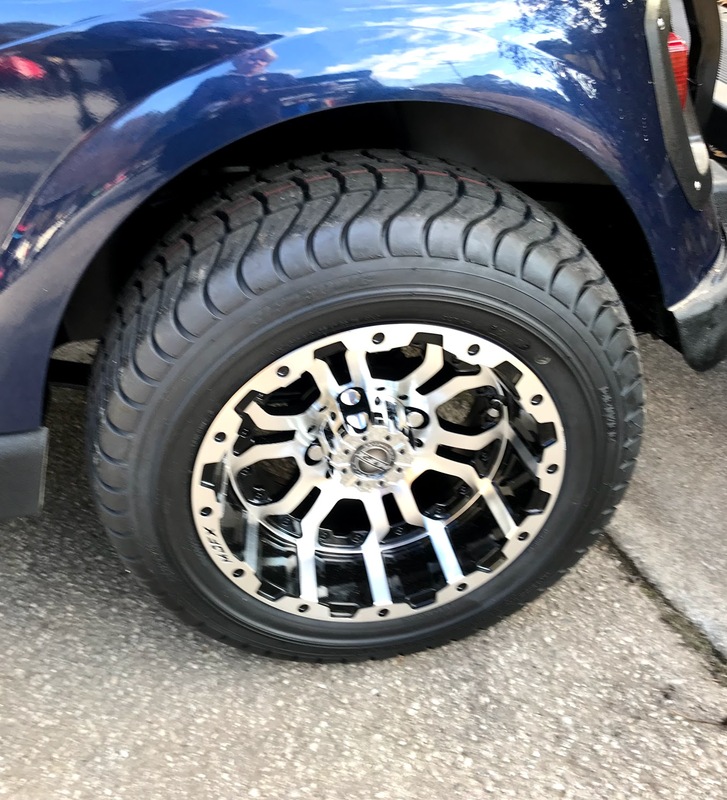 The size of your golf cart tire will determine the size of your golf cart wheel - unless of course you are getting new assembled golf cart tires and wheels. Look for the numbers on the sidewall of your tires. You will see something like this: 205/50-10. The 10 means it is a 10" tire. 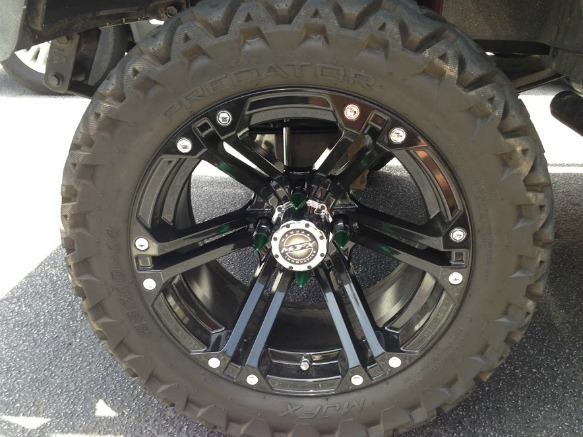 Wheel sizes vary from 8" to 14." You will find that 4 bolts is a standard golf cart wheel pattern. However, some carts will have 5 bolt holes. So be sure you know which one you need. 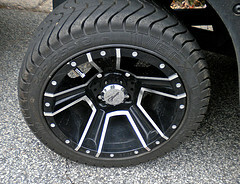 Custom golf cart rims or wheels are an easy way to customize your golf cart - now I didn't say inexpensive. 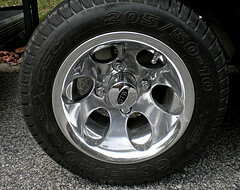 The cost for a set of 4 aluminum golf cart wheels can range in price from $200-$1000. Of course you need to add new and matching lug nuts and a golf cart center cap. 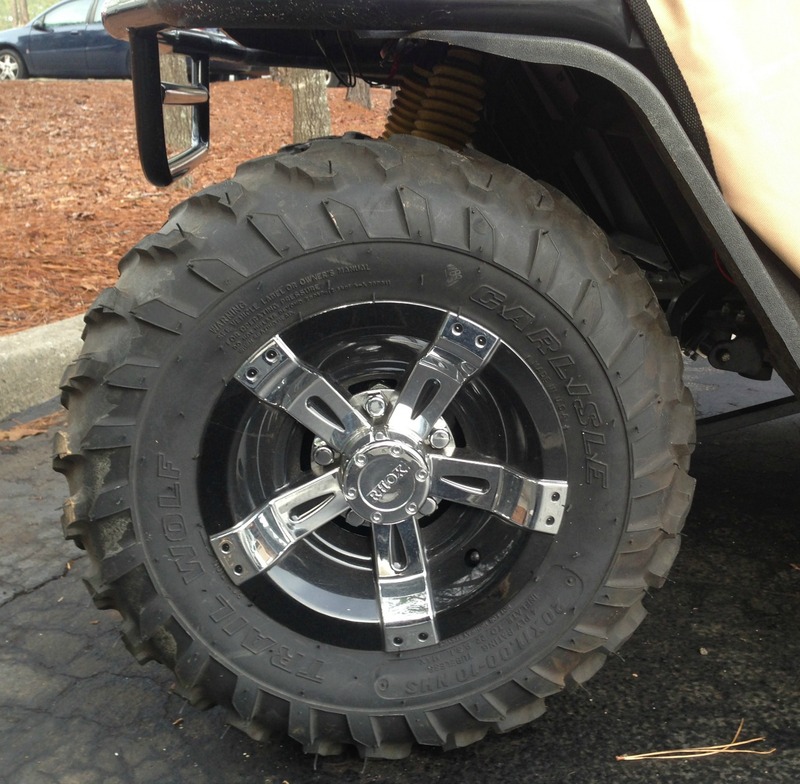 Most custom golf cart rims are made of aluminum, not steel - which means they won't rust. They are also available in different finishes - polished aluminum, chrome or matt black. I decided on a chrome finish. The chrome plating gives a mirrored or shiny look that is hard, durable and easy to clean. A polished aluminum is machine finished and is not as shiny as a chrome plated wheel. Sometimes the polished aluminum wheels will have a protective clear coat applied to it. 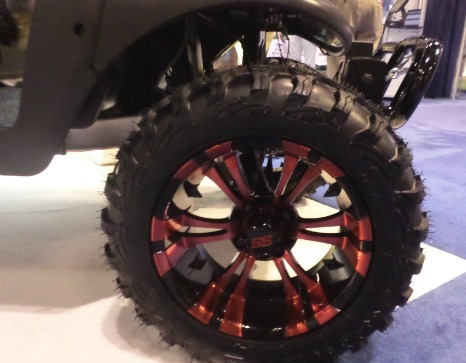 Deciding on the finish of your custom golf cart wheels really boils down to personal preference. Look at the pictures and determine how many spokes do you want. Four? Six? Eight? Some custom golf cart wheels have only 4 spokes that are thick and heavy looking while wheels like mine have lots of spokes - 14 to be exact. The hardest part will be deciding which ones you like best. 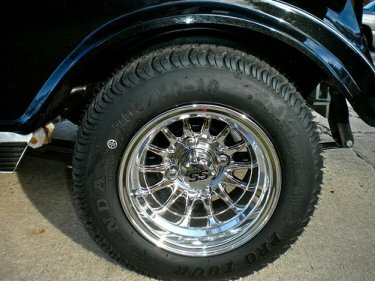 You can find a nice selection of custom golf cart wheels and tires from Amazon, usually with free shipping. 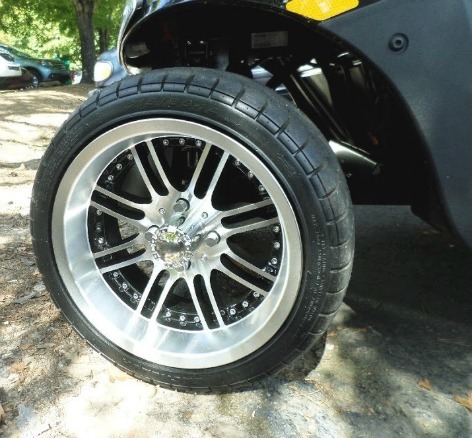 What I love most about my new refurbished golf cart are the 10 inch golf cart chrome wheels. The mirrored chrome finish has a great shine. 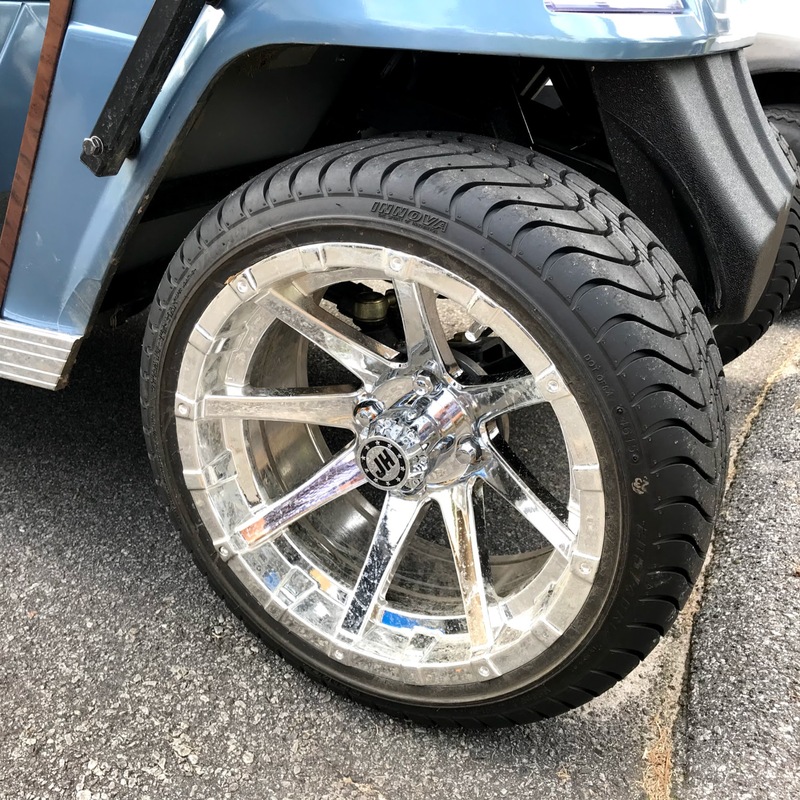 The 10 inch tire provides more stability and a smoother ride while the larger chrome wheels add a great custom look to the golf cart. Black or black matte is a popular finish like this one pictured. 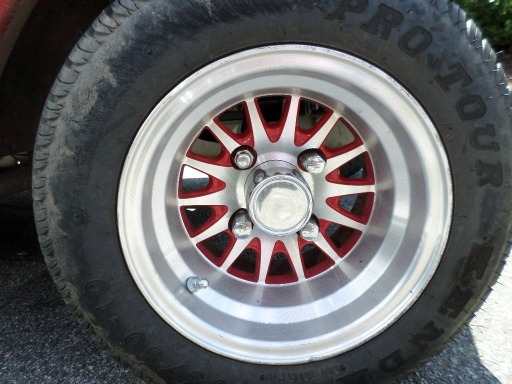 I am seeing all kinds of colored custom golf cart wheels in my golf cart community - from red to blue to green. So many more options have become available in the past few years. 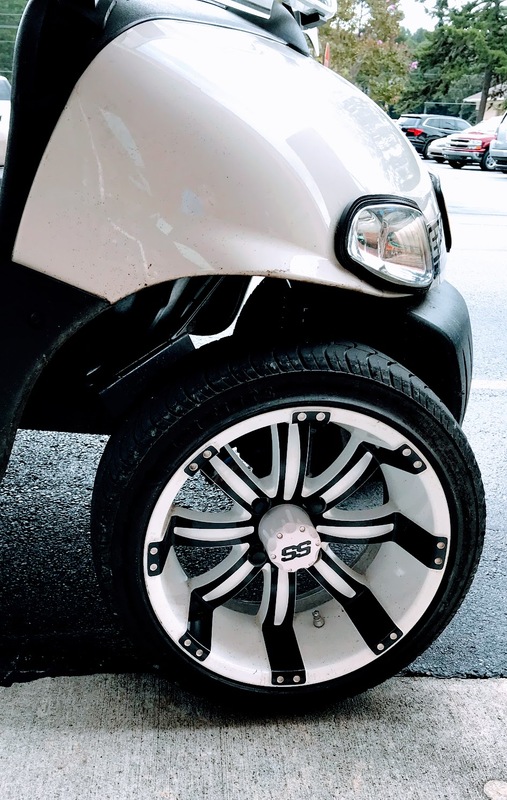 A white and black wheel color combination coordinates with the golf cart body color for a custom look. 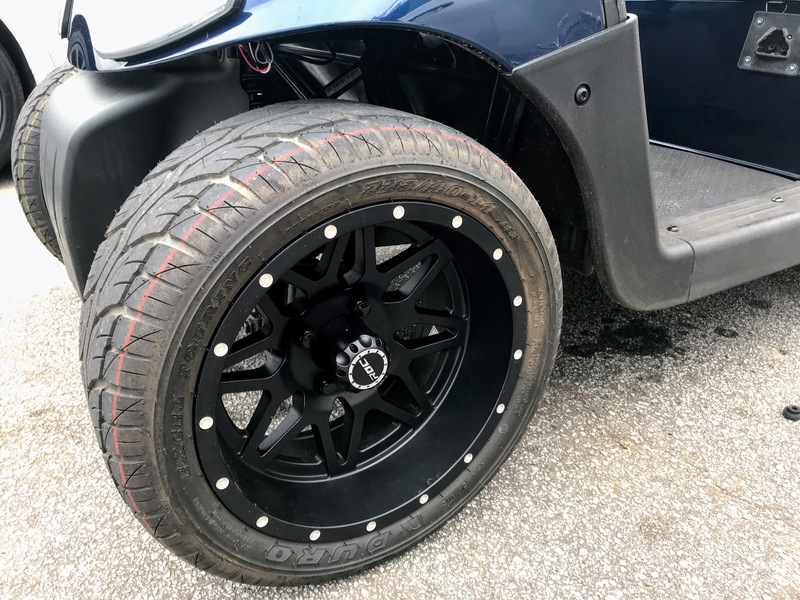 If you are needing new tires, you can purchase golf cart wheels and tires already assembled, which means the wheels are already mounted onto the tire. This is what I did and it saved me some serious money. Most of these golf cart tire packages will give you a better price, but less options than if you were to select just your golf cart rims. 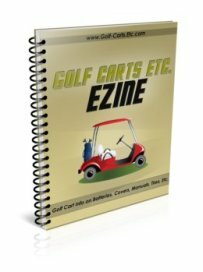 Amazon carries an amazing selection with lots of good pictures to help you pick out the custom wheels that will be just right for your golf cart.